Sauce entrepreneurs appointed Chaos to undertake brand creation. From naming and packaging through to digital and literature - Chaos injected fun and personality to the start up brand. Chaos really got its teeth into a start up sauce concept aimed at students, crafted and cooked by students. The brief was to create a standout brand with a sense of fun, to engage consumers in a crowded market. Chaos created the brand name, identity and key brand message – ‘Saucy pouches for cooking slouches’. 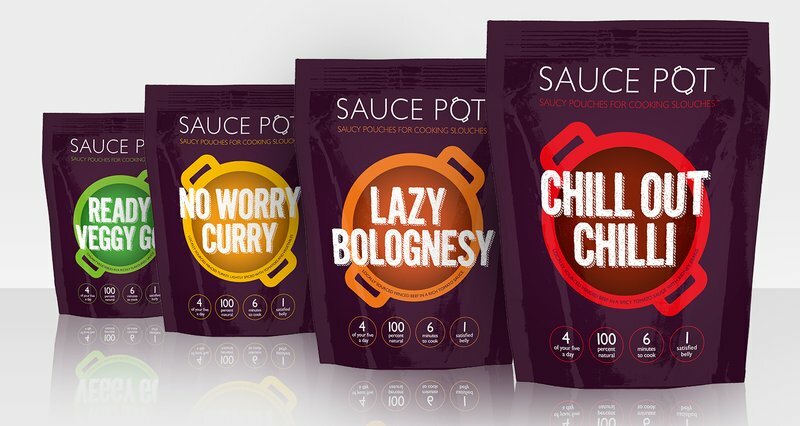 Fun names were also created for each sauce in the range – ‘Chill Out Chilli’, ‘Lazy Bolognesy’, ‘Ready Veggie Go’ and ‘No Worry Curry’ – all packaged in bold and vibrant pouches and supported by the website and other marketing comms.